The North Zealand seaside towns are great to visit also on a clear autumn day. 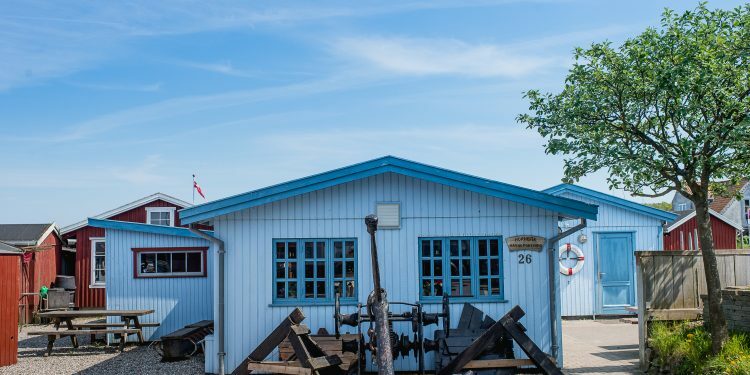 Report from a day trip to the amazing coastline and small sleepy seaside towns only 65 km north of Copenhagen with Your Danish Life’s photographer. 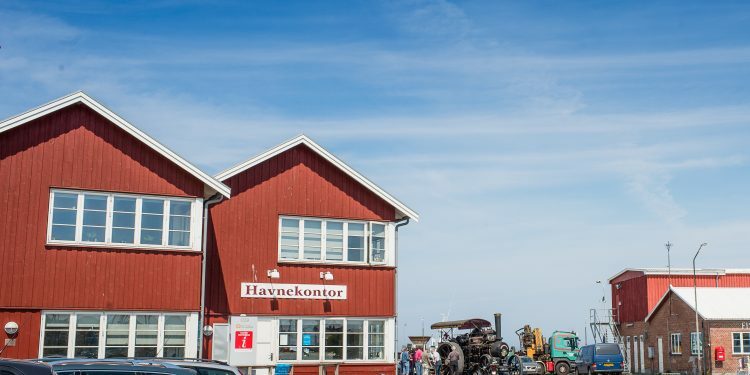 Living in the capital city you might think that the best Danish beaches are found mostly in Jutland; you have probably heard names such as Skagen, Blokhus or Løkken in connection with beautiful beaches and lively seaside towns. 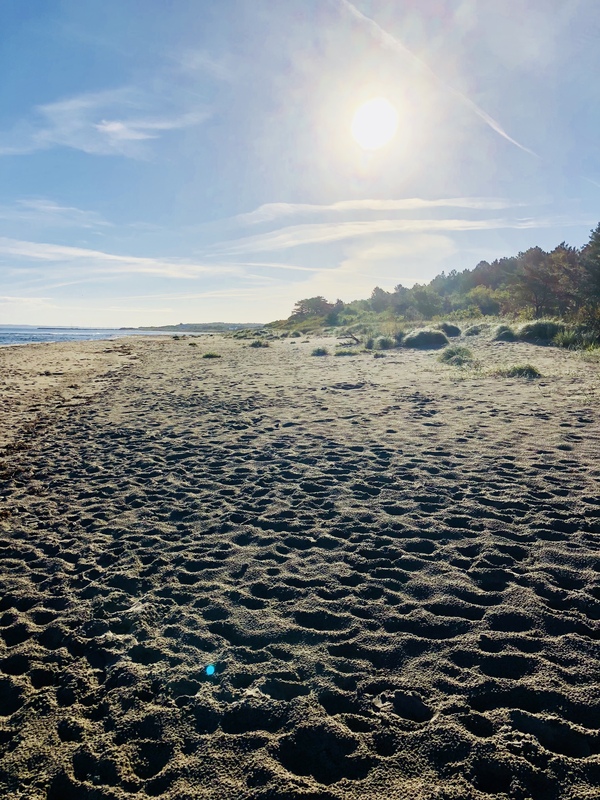 However, even though Amager Strandpark, the beaches along Køge Bugt and Bellevue in Klampenborg are easily accessible from Copenhagen, the opportunity to head north and try out the ones on the North Zealand coast shouldn’t be missed. 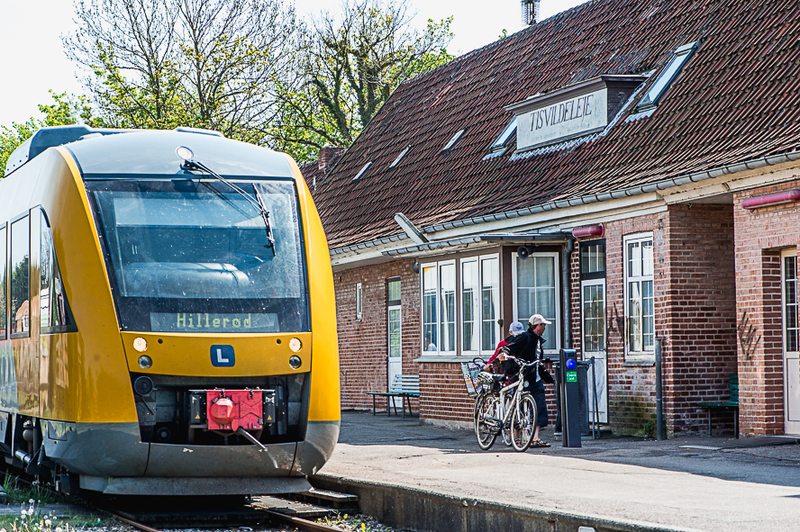 You can easily reach seaside towns such as Tisvilde, Gilleleje and Hornbæk by train or car. These destinations are not in any way touristy; you won’t find hordes of Germans or Norwegians here. Of course there are some, but mostly tourists will be from the Copenhagen area or someone with a summerhouse here, alongside a few all year round residents. 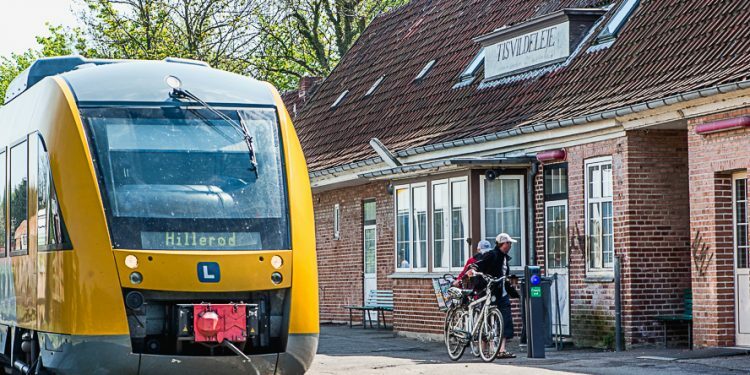 Take the S train to Hillerød Station and change to the pig train, Grisen, and approximately 40 minutes later you are there – the train departs regularly, several times an hour. 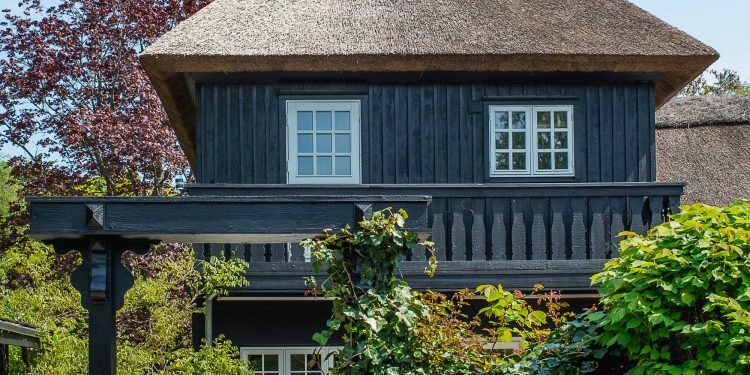 Allow 1.5 hours from Copenhagen in total. You can, of course, take the car and head north on the E47 highway. This is how our road trip goes. For Tisvilde we want to take the Hørsholm S exit and stay on Isterødvej (road 19) until reaching the Kagerup exit. This route will take you through Grib Skov, one of the national forests worth visiting, but not on this seaside trip. Drive through the small hamlet of Kagerup, passing fields and pastures with grazing horses, until you reach the roundabout. Take the exit marked Helsinge and stay on the road (road 267) passing Helsinge until you reach the end – a T-junction. Here you turn left and head for Tisvilde (also called Tisvildeleje). This small beach town only really comes to life in the summer. 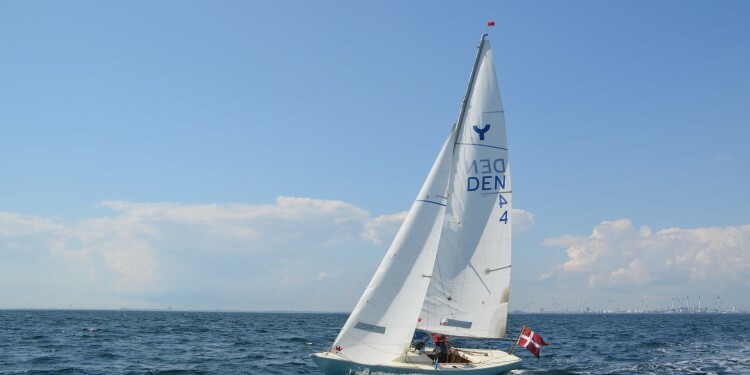 During the school holiday period of July and August you will find many Copenhageners here. It is solely during those weeks that it is even remotely close to being crowded; otherwise it is a relatively quiet seaside town. 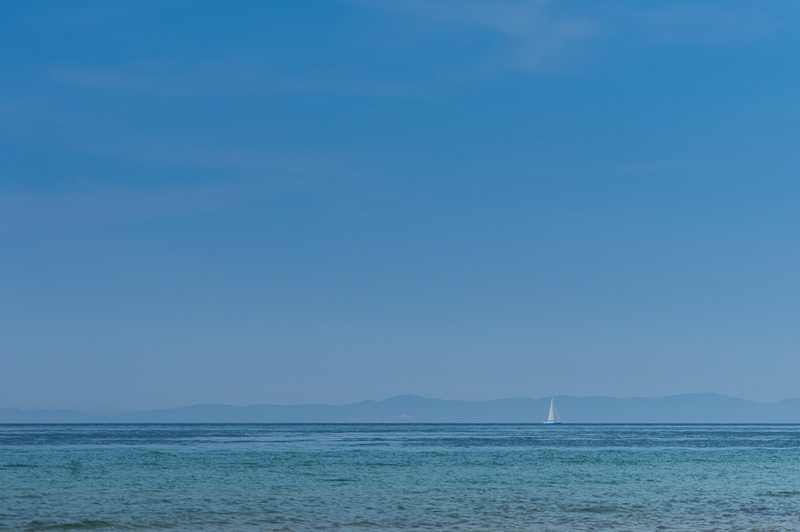 There is no real harbour or port area, so no sailing boats stop by. 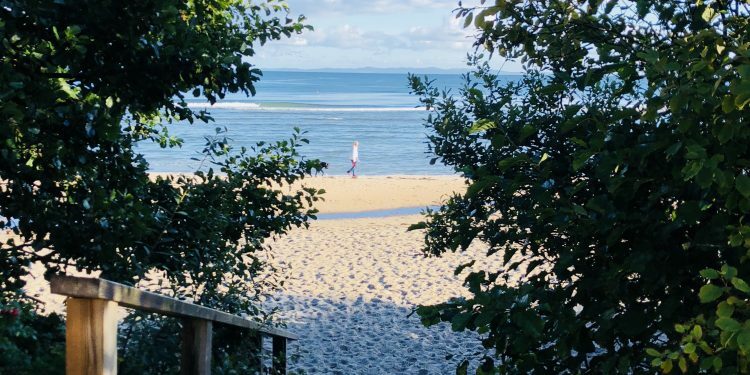 As you drive straight along the main (and only) road with a few cafés, shops and ice-cream parlours, your final stop will be the huge parking lot at the end of it, located next to a kilometre-long stretch of beach with white sand, dunes, forest and the clear and clean blue sea. There are no particular facilities here, no beach beds, changing huts or fancy restaurants. The ice-cream and hot-dog bar with adjacent public toilets is all you will find so remember to bring a picnic and enjoy the clean and slightly bracing sea. 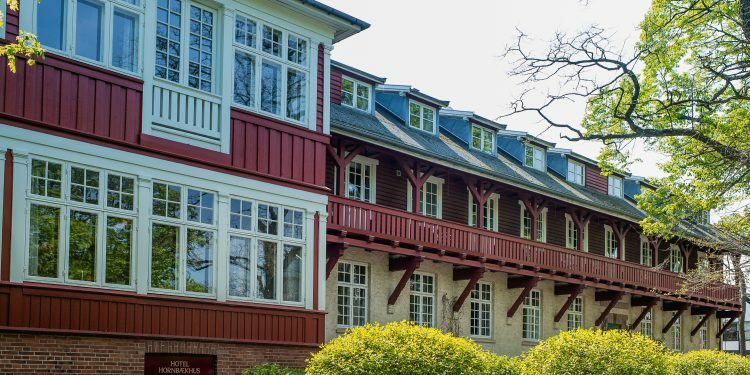 If you plan to do the full tour, you will need to pack up and head on, maybe making a detour along the very narrow beach road to check out Helenekilde Badehotel (lookout for the street signs leading you there through the summerhouse compound, or try finding Helenekildevej opposite the train station). 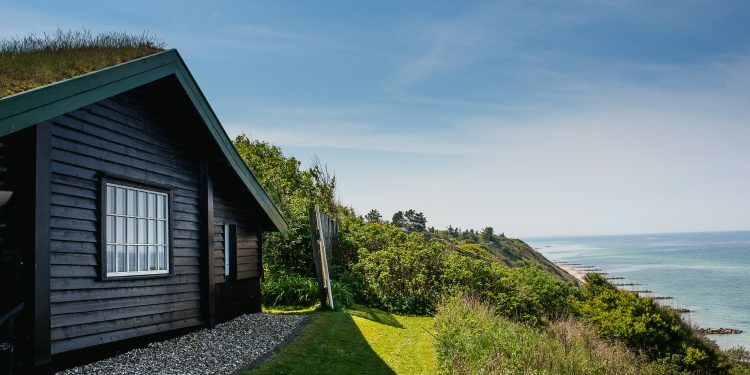 The hotel lies right next to the cliffs, seemingly in danger of being taken by the next landslide, the severe land erosions created by the stormy sea in the winter. Fortunately, the huge stone dikes erected in the water in front of the beach as coastal protection have helped to protect the cliffs from further erosion. 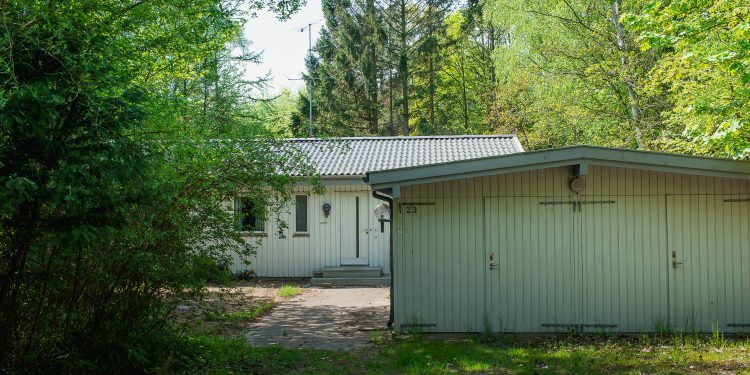 A nearby summerhouse owner explains how his small wooden house has been in his family’s possession for 100 years, during which time the sea has stolen more than 50 meters of land, dramatically decreasing the size of the garden and the house’s distance to the sea. After this small detour, head back to the main road, leave Tisvilde and head towards Rågeleje. 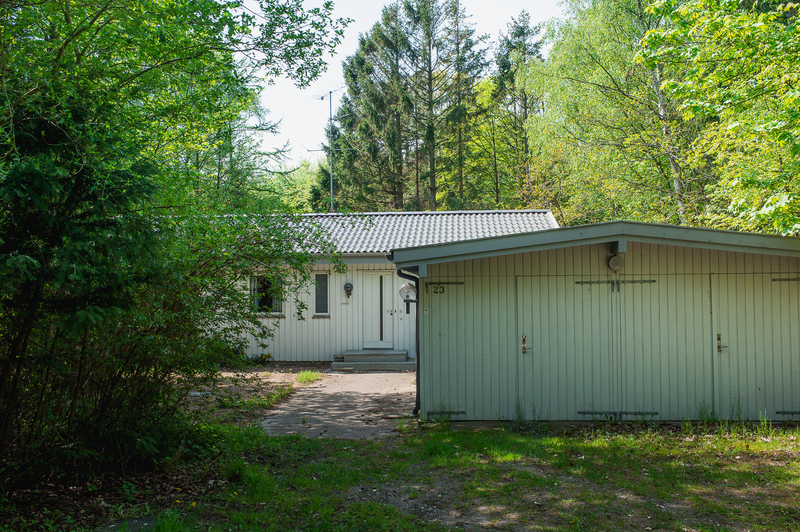 Look for the small road going through the summerhouse compounds leading to Rågeleje (again this can be tricky but look for Holløselund strandvej, Vejby Strandvej to finally reach Rågelejevej (road 237). You can also leave Tisvilde the same way you came in – continuing straight ahead on road 237 at the junction where you came in from Helsinge. This takes you through Vejby, another small town (nothing particular just a few houses, a school and two grocery stores). Make sure to take the road to the left (this is still road 237) which will take you down to the coast again and through Heather Hill (a heath like nature reserve with sheep grazing in the summer – nice for walks) and along the beach road with spectacular views through Rågeleje, along the Nordkystvej to Gilleleje. As you drive along, notice the many black and white painted wooden summerhouses on each side of the road. 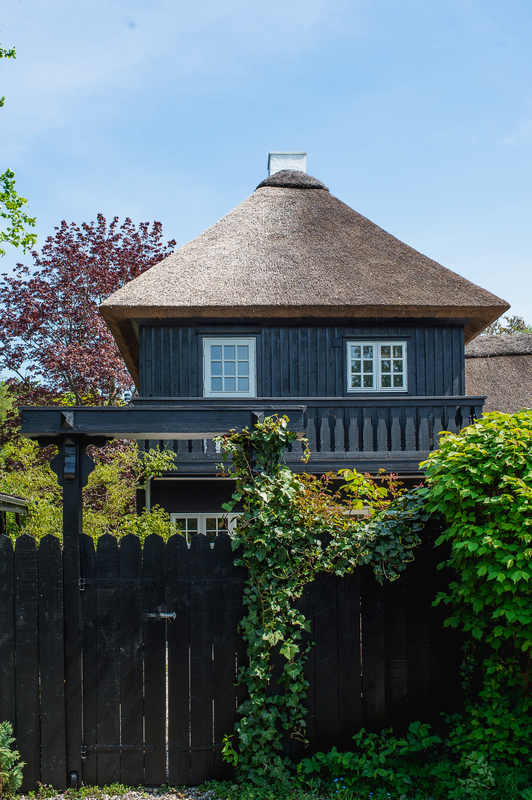 The black and white fashion from the 1930s became popular again about 10 years ago and many owners repainted their houses to follow the trend. The road is quite narrow with no pedestrian or cycle paths and, at times of intense traffic such as weekends and school holidays, it is unsafe to cycle here, much to the regret of the local tourist agencies. 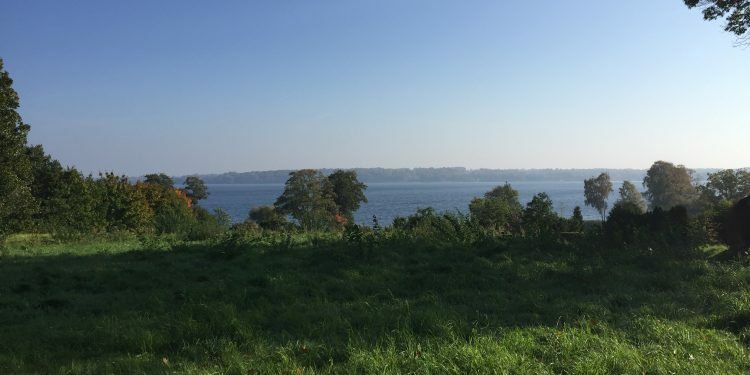 The battle with neighbouring landowners on each side of the road for parts of their garden to be able to construct a cycling path has only succeeded in creating a stretch of a few kilometres just before Gilleleje. 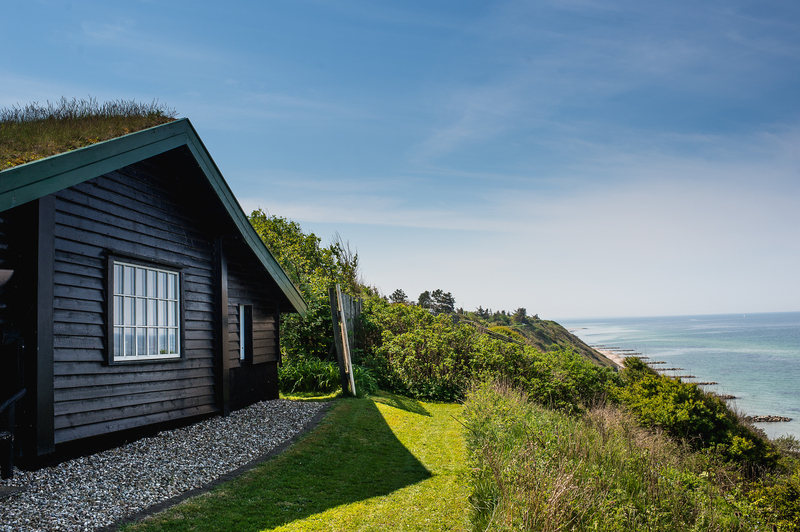 It’s a lovely drive as the road winds along with long stretches of sea view and others with just summerhouses of all shapes and sizes surrounded by the green wood. Gilleleje is a completely different town compared to the rather sleepy seaside resort of Tisvildeleje. 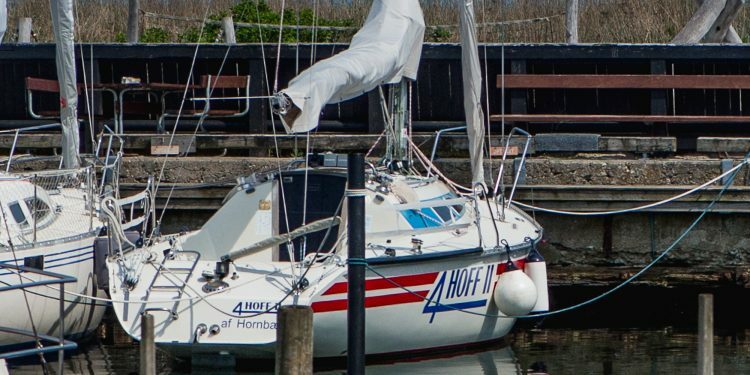 It boasts a large fishing port (the largest on Zealand) and a small leisure port, where notably Swedes sail over to have fish and beer from one of the eateries here. You can enjoy the scent of tar and fish while having freshly smoked herring, mackerel or fish and chips seated at the simple wooden benches. Notice the large crowd of seagulls waiting for a child or playful adult to throw leftovers. 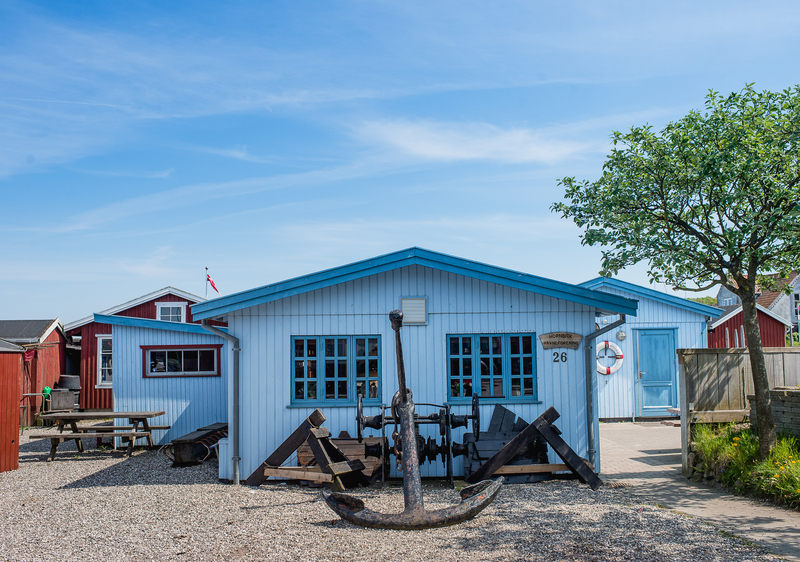 Take a walk around Gilleleje harbour or go for a more wholesome meal, and a comfortable sit down, maybe at Gilleleje Krostue or one of the other small eateries a little further from the port area. There is nothing chic about the town in the way a South European seaside resort might be; it is really still a rather small but commercial town with an important fishing industry. 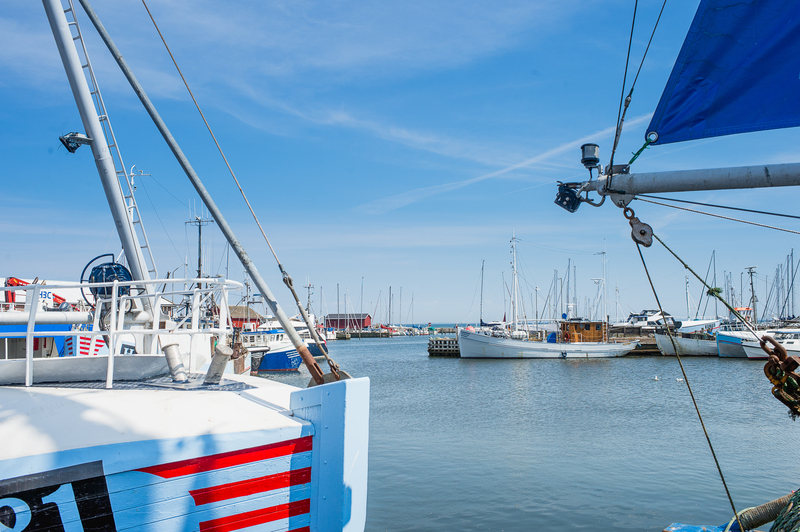 The name Gilleleje originates from the old Norwegian words “gil”, meaning cleft or opening, and “leje”, which was the fisherman’s word for a seasonal fishing settlement on the coast. Settlers can be traced back to the 16th century. Today, Gilleleje lies in the municipality of Gribskov at Zealand’s northernmost point, Gilbjerghoved. The town has preserved many of the idyllic cosy streets and thatched houses built when it was a fishing village. Most of them lie just adjacent to the port area; behind them is a nice beach where a small path leads you along the coast, passing summerhouses and all year residences, to the lighthouse Nakkehoved Fyr – still in use but open for visits. 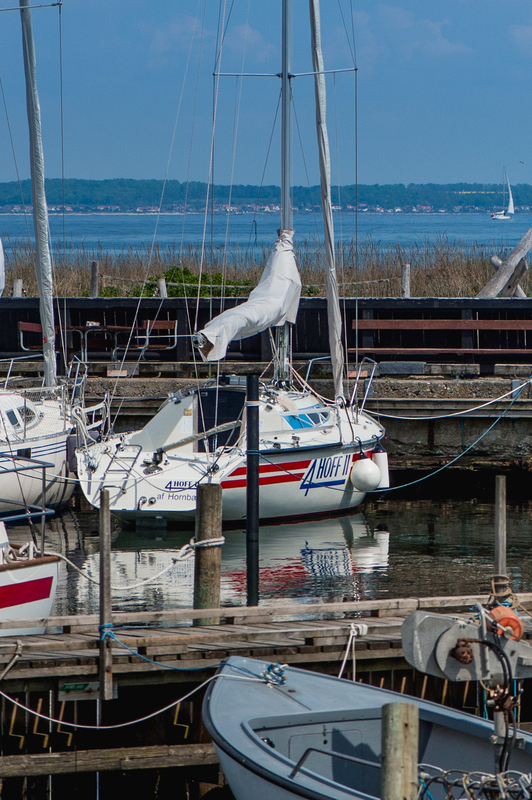 If you want to explore more, you should continue towards another seaside town, Hornbæk. 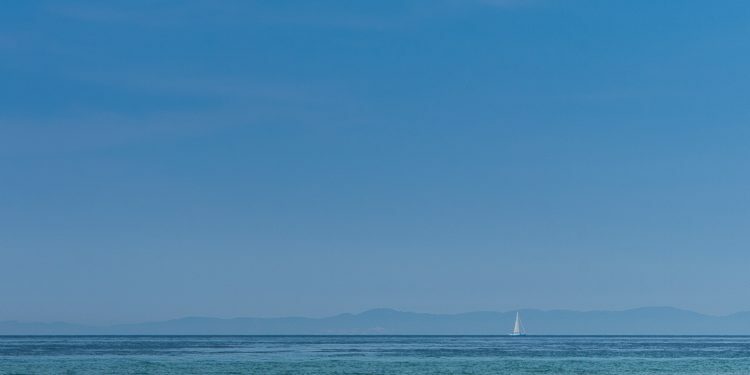 As you leave Gilleleje, make sure to take the left turn at the roundabout and head for Dronningemølle and Hornbæk. This road is called Nakkehoved Strandvej and is the continuation of road 237. Again you are travelling along the Nordkystvej with its alternation between summer residences, forest and the sea. As you approach Hornbæk, the trees become denser; you are now in a plantation and a very popular, more affluent summerhouse area. It was also to Hornbæk that the famous Nordic painters Skagens malerne came at first, before they discovered Skagen’s unique light. Again, you are in a more peaceful seaside town where you will be surprised by how quiet it is (this happens every year once the schools start up again in mid-August). Even on weekends it is not crowded, unless however you pick a very warm day when many one-day beach tourists will crowd the beach. 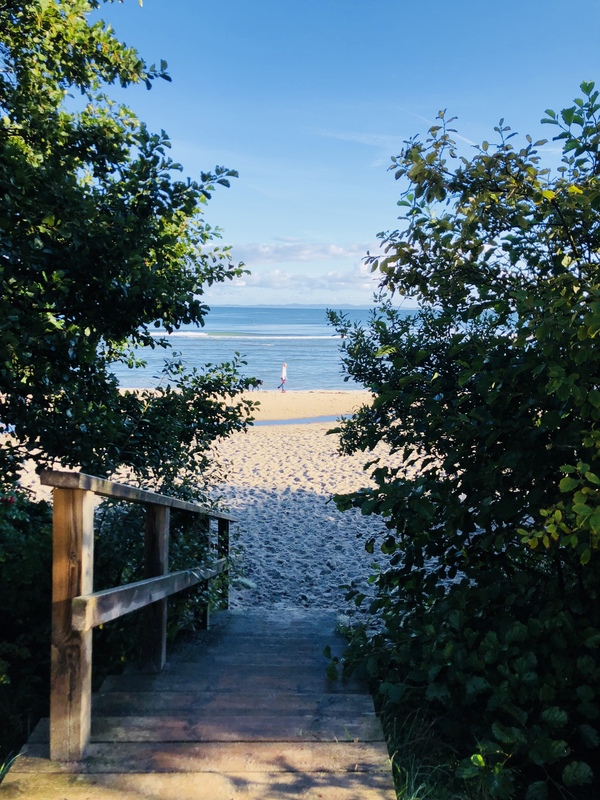 Hornbæk boasts a long bay with a well-kept beach with fine sands, shallow water for the children, toilets, kiosk and mini-golf. There are also some eateries but the quality varies a great deal. For instance, be careful about the small leisure port’s fish bar; they do not sell freshly caught fish even though the fishmonger next-door might lead you to think so. However, the recently opened Ilse Jacobsen Spa and Restaurant could be worth your visit if you wish to indulge yourself, although it’s on the expensive side. The great smørrebrøds restaurant Olsen unfortunately closed this year after 34 years; the couple decided to retire and they now live in the building housing their former restaurant. 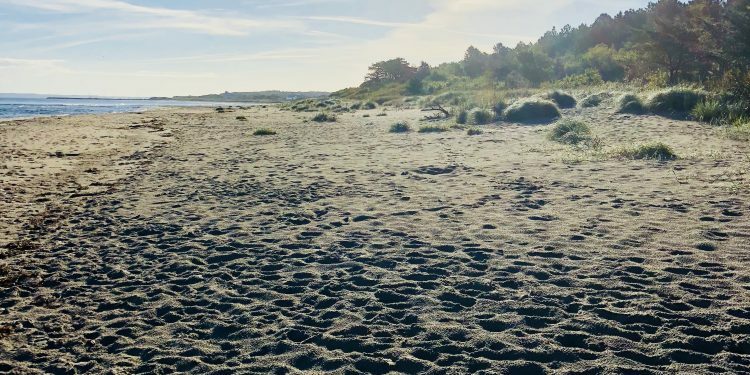 You can’t avoid passing by it if you visit Hornbæk beach and you might still hear a Dane recommending it; it was rather famous and people have to get used to their retirement! 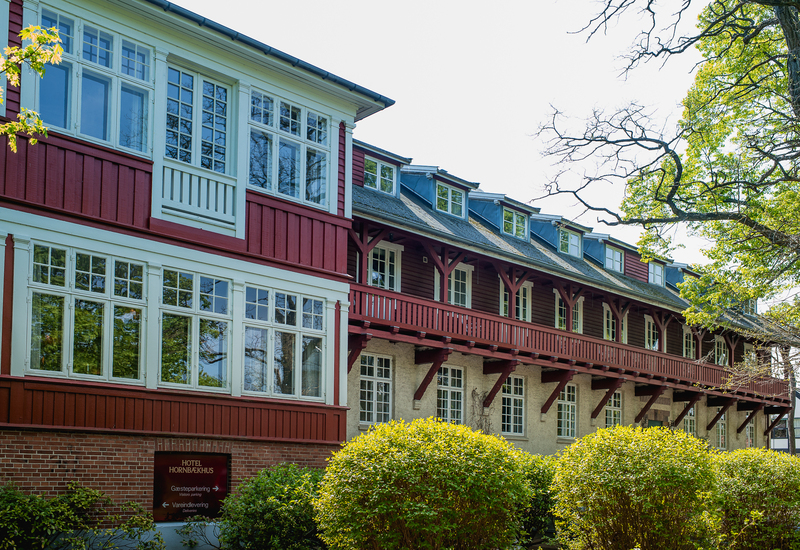 Hornbæk also boasts an old seaside hotel, the Hornbækhus badehotel. It is not, however, located on the beach, but at the beginning of town. It’s a beautiful four floors high wooden structure, very popular for weddings and conferences. Newly renovated in a very retro style – it is a surprising decor of high quality. For a long weekend or one night stay it’s not a bad choice. From Hornbæk, you can head back to Copenhagen taking the highway – this is the quickest road to take. 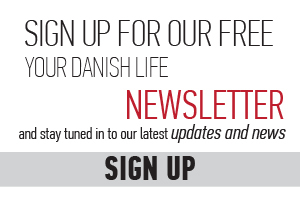 If you have more time, head for Helsingør – again along the Nordkystvejen. 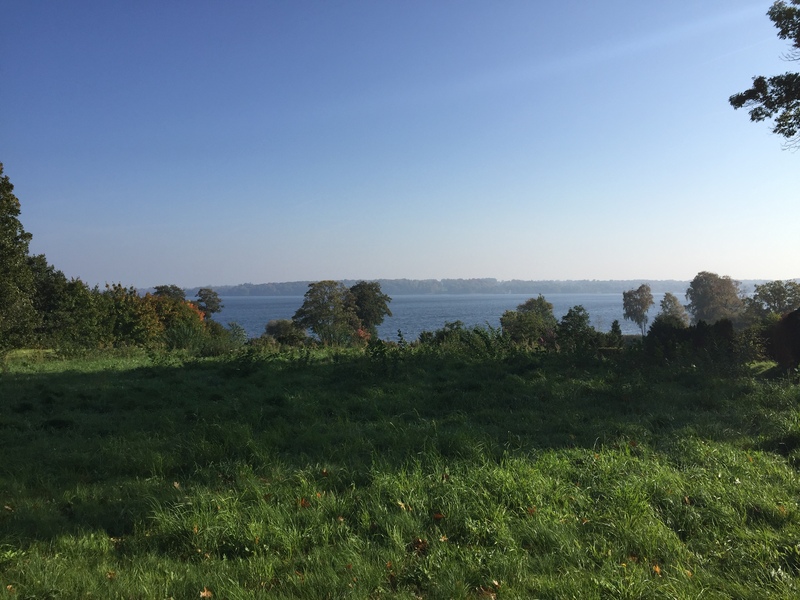 It will take you past small seaside towns such as Hellebæk and Ålsgaarde – basically just houses on either side of the road. 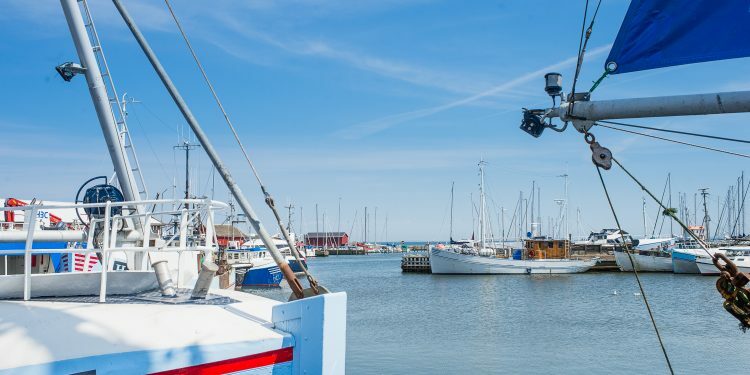 You will enter Helsingør from the north, passing the famous Hotel and Casino Marienlyst, arriving just outside Kronborg Castle into the centre of Helsingør next to the ferry boats crossing to Sweden. The road goes past the train station, where you should avoid being led onto the E45; instead, take the coast road again, heading for Søndre Strandvej – road 152. This will lead you through the small towns of Snekkersten, Espergærde, Humlebæk (home to Louisiana), Nivå, Rungsted Kyst, Vedbæk, Skodsborg to Klampenborg and, ultimately, into Copenhagen. Be careful to stay on this road as some of the small towns try to lead the traffic away and on to the highway by putting up confusing København signs. You want to stay on road 152 all the way to Copenhagen. 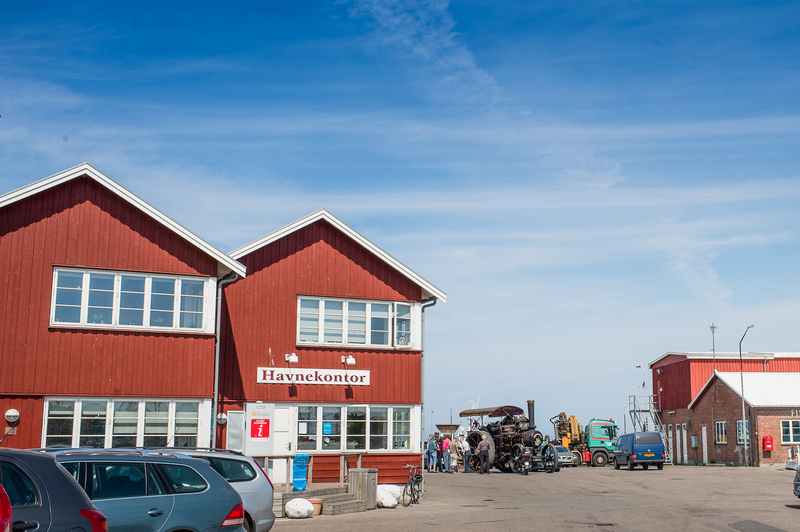 If you get hungry on the way both Rungsted Kyst and Vedbæk have several eateries to be found in their harbour area.